For those who don’t know, I have just recently returned to Australia after working in the UK for the past 2 years. Now I’m not one to be too proud and due to me having a lovely holiday on the Mediterranean and spending all my hard earned money before moving back – it has meant moving back to the family home. And yes it’s lovely and I know that you don’t really care how many Tim Tam’s a day I’m having but bare with me – I do have a point. Since I’ve been away for so long I’ve been re-aquainting myself with old photo’s and as well as realising what a horrendous and awkward -looking teenager I was (braces, glasses and a home cut fringe anyone?) 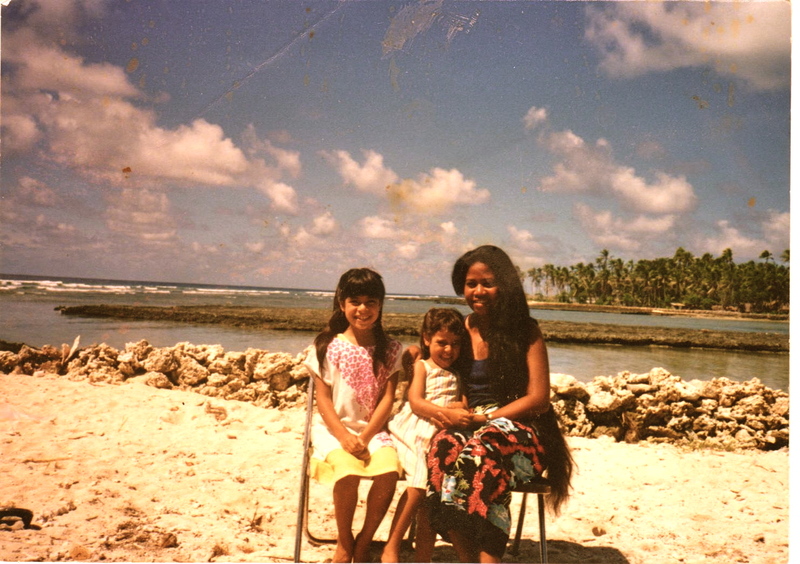 I have also come across old photos of Kiribati. 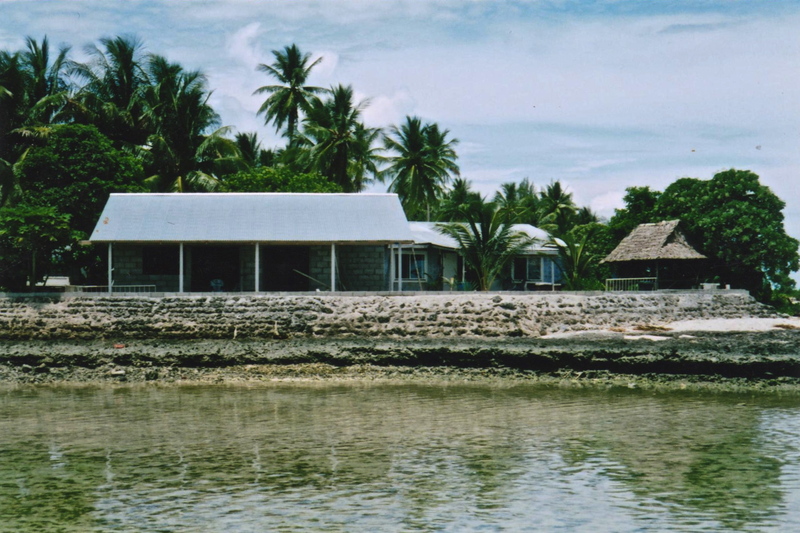 When my parents first got married they bought a piece of a land facing the ocean side on Tarawa (as opposed to facing the lagoon). This land is still in the family to this day and this is where we stay when we go back. This block of land has also allowed my family to also witness the rising waters first hand. Starting from 1982, these photo’s are all on the same block of land from different angles. Check out the water levels and development of the sea wall. 1982. High tide. No sea wall. 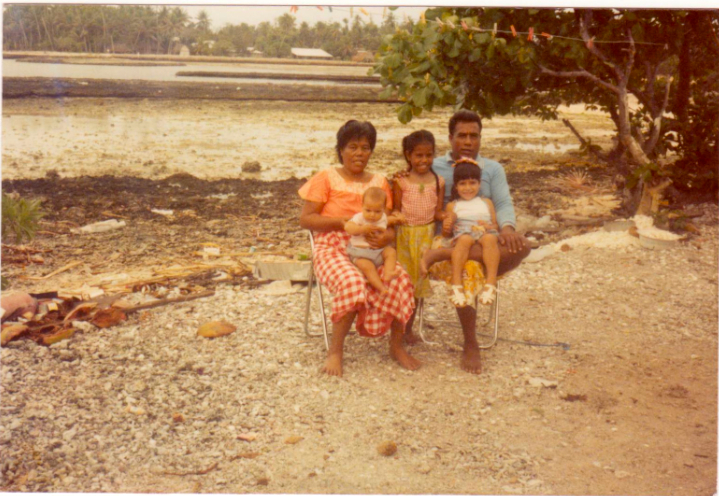 1985: Family members in front of the house. Low tide. No sea wall. 1990: Same position as previous photo. Tide on it’s way out. 1st sea wall. 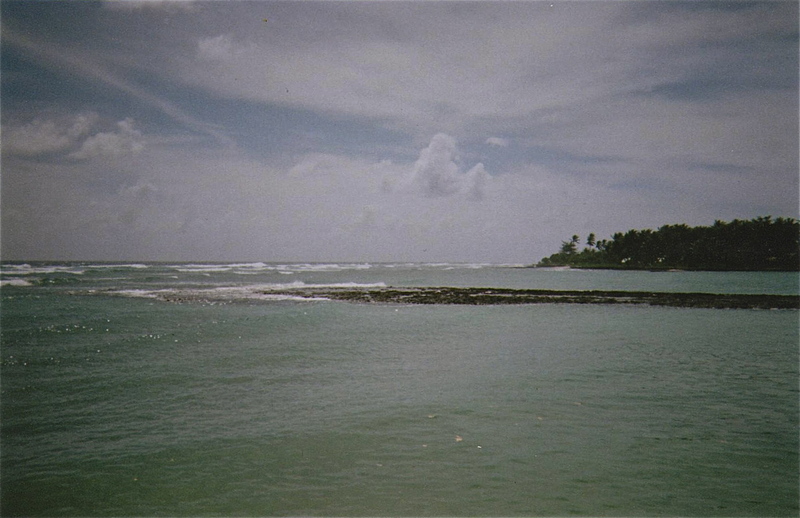 2002: Facing the sea wall. High tide coming in. 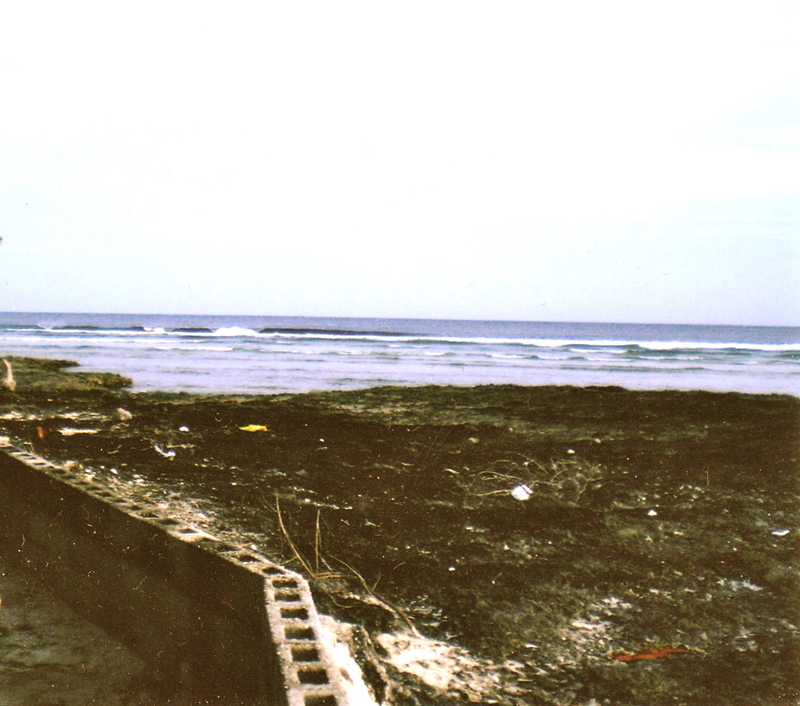 2004: New, higher sea wall. Low tide. 2007: New layer of bricks on the sea wall. 2007: High tide. Taken from the sea wall. They are all the photo’s of the sea wall that I can find. As you can see, in the past 30 years the wall has gone from nothing to being significantly higher and the water levels have risen. This is our block of land and we literally can fish from the back door at high tide due to being so close to the waters edge. And for those that don’t really know much about the main island (it’s okay if you don’t, the place is tiny!) 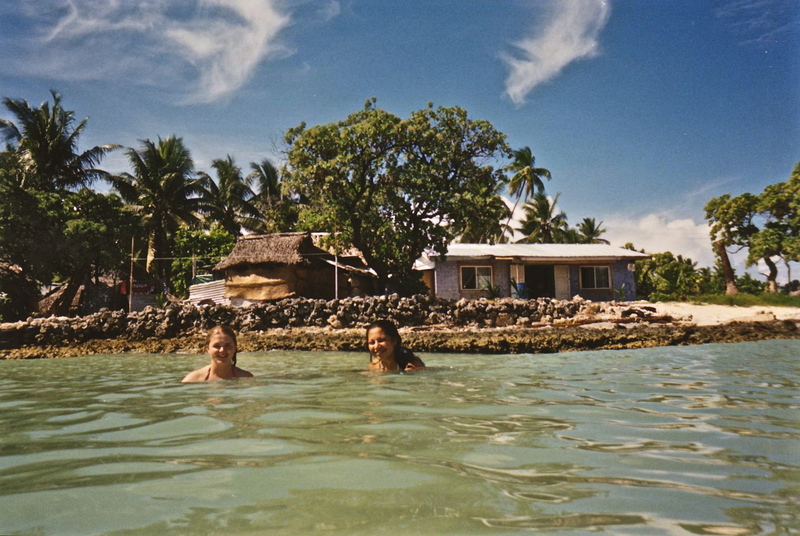 Tarawa is about 1km across at it’s widest so most houses on the island either sit facing the ocean or the lagoon. I hope you readers don’t mind but I’m going to be a little self indulgent here. I know that rising sea waters is constantly in the media and everyone has got everyone shoving climate change down your throats. I totally get that if you can’t see water rising, you are somewhat ‘immune’ to actually noticing or feeling it. So here is me sharing my personal view on this. All of the people in these photo’s are my family members. My family members still live in the houses shown in these pictures. I didn’t want to really show any personal photo’s but I figure it what the best way to show you where I’m coming from and why I feel so strongly about it. Water literally is at the doorstep. I really do appreciate you reading. I know that a lot of us feel like this kind of issue is out of our hands and I get that everyone has their own stuff to deal with. 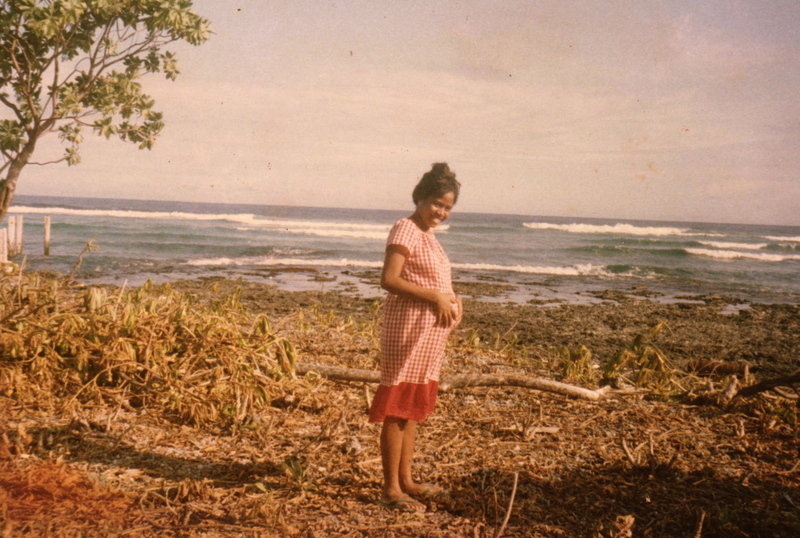 But if you wouldn’t mind just taking the time out to read if you see an article in the paper, talking to a friend, googling ‘Kiribati’ or asking questions about the issue then that would be enough for me. Hell, even ask me the questions. I probably will have no idea about the answer but I would rather spend all day researching the answer than for you to want more information and not get it. Again, thanks for take the time to read. I’ll be putting more photos up in the ‘About’ section when I have the chance. And finally, I’m now on twitter! I know, I know, I always said I wouldn’t and here I am…look me up @thelittleisland. This is in your face Marita. Well done to you. The pics really show how the sea levels have risen. I wish you well in your endeavors to spread the word. CP. Thanks Caz. I’m really enjoying writing about it. Although I was really reluctant to put the photo’s of family members on there, I figured it was the best way for people to be able to relate to it. A lot of the time newspaper articles and websites aren’t able to relate personally to readers so I thought that this would help. Thanks for reading!